By Rick Welday . Published on October 25, 2017. Fall is here. Winter is coming. While it would have been great to reach the millions of viewers who tuned in every Sunday to watch "Game of Thrones," that's not an option on HBO. What's the next best thing? Reaching "Game of Thrones" viewers while they're watching other similar TV programming. Lucky for you, data-driven linear (DDL) is here to help. 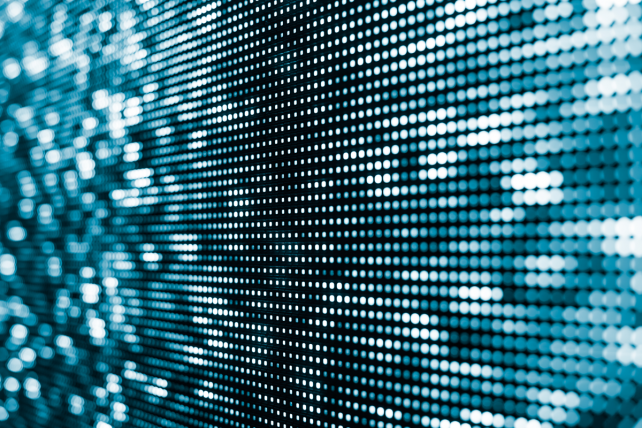 Simply put, data-driven linear provides the opportunity to greatly improve the efficiency of tune-in advertising. I firmly believe that one of the best ways to predict potential viewership is by comparing past viewership. The utilization of second-by-second set-top box data enhances our ability to make recommendations to tune-in advertisers by identifying the programs (or genres), networks and dayparts that attract their specific audience segments. While it's easy to plan media around the assumption that cooking show fanatics are probably interested in a new cooking show, set-top box data might reveal that the cooking show group also over indexes on talk shows between 10 p.m. and midnight. 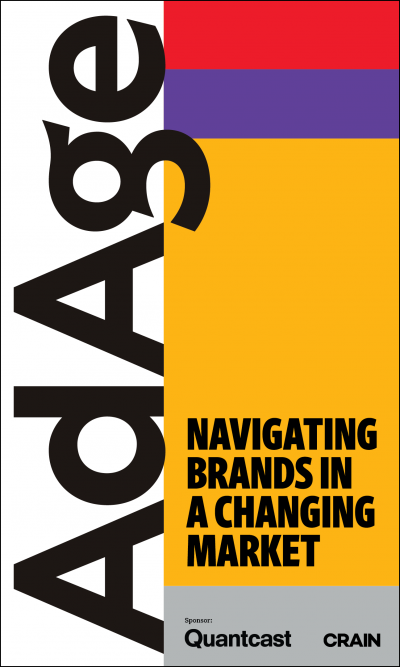 Unearthing these insights is a key element in retaining and driving ratings for the advertised programming. When I'm watching TV, I am always in the market for more TV. I can't count the number of times I've seen a new show promoted and immediately gone to set my DVR. Data-driven linear provides the opportunity to reach a targeted audience segment, already open to new programming since they are currently watching TV, who over index on the programming you're promoting. It's less disruptive and more relevant for the viewer, and you have data helping to ensure you're reaching the right audience. This presents a tremendous opportunity particularly for tune-in marketers. 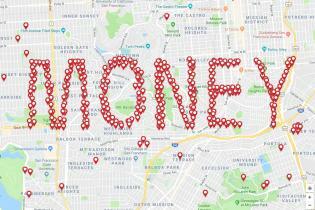 They have the ability to scale cross-screen advertising by adding addressable to their DDL media mix to deliver integrated campaigns to millions of devices used every day. How does that work? If viewers tend to watch content more on digital devices, you can serve addressable ads on those devices based on past linear TV viewership data as well. And the best part is, you can measure viewership for the group that saw an ad on a digital device and then tuned into linear TV to watch your advertised programming. NBC: "SNL Weekend Update Summer Edition"
NBC recently employed a DDL strategy to promote the first two episodes of "SNL Weekend Update Summer Edition" on DIRECTV. Analyzing patterns of Saturday Night Live viewers A18-49, the campaign was able to identify new network and daypart opportunities. The viewers exposed to the DDL schedule were also more likely to tune in to both episodes and watch for longer. In fact, DIRECTV delivered over 45% more viewers than the baseline. The assumption was that this would be a show the SNL audience would want to watch, the question was how to reach them. Being able to build aggregate viewership interest groups—no modeling or no sampling—provided the opportunity to speak directly to the SNL audience. This was the best kind of TV viewership data with the scale needed to drive ratings. 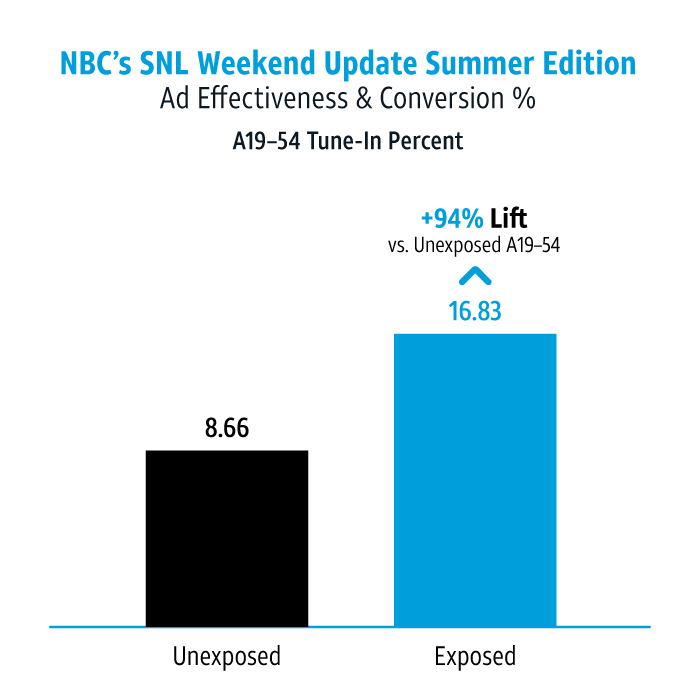 Source: comScore Rubik; Live +7; Episode 1& 2 of SNL Weekend Update Summer Edition on 8/10 & 8/17/17; A19-54 DTV UE; Unexposed: A19-54 viewers in demo group who were not exposed to DDL Ad. Exposed: A19-54 viewers in the demo group who were exposed to DDL Ad; Conversion 1+ Min. Deal guaranteed demo group A18-49. Case study results are based on individual campaign factors, AT&T makes no performance warranties. 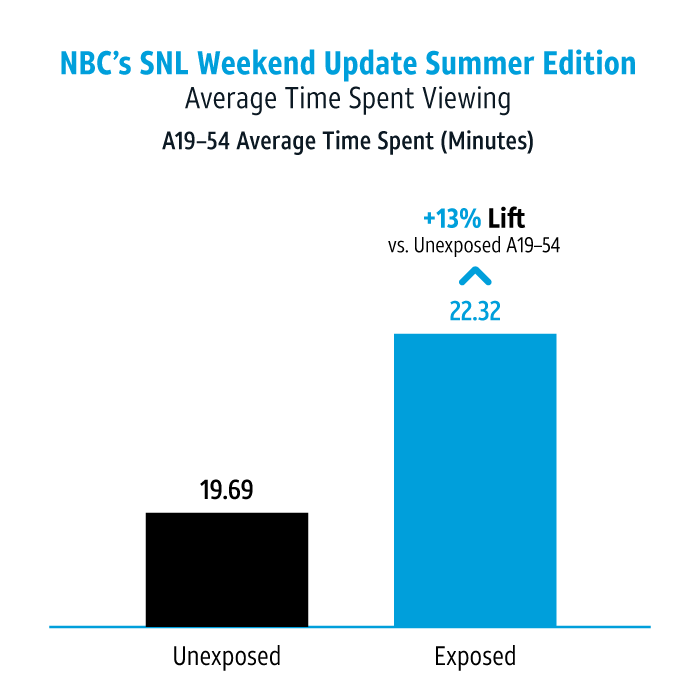 Source: comScore Rubik; Live +7; Episode 1& 2 of SNL Weekend Update Summer Edition on 8/10 & 8/17/17; A19-54 DTV UE; Unexposed: A19-54 viewers in demo group who were not exposed to DDL Ad. Exposed: A19-54 viewers in the demo group who were exposed to DDL Ad. Deal guaranteed demo group A18-49. Case study results are based on individual campaign factors, AT&T makes no performance warranties. OWN recently implemented a cross-screen addressable buy on DIRECTV to promote the season two premiere of "Queen Sugar." The campaign targeted viewers of "Queen Sugar's" first season and ran for a week across TV and digital. There was a remarkable 1,295% conversion lift among households who were exposed to both the TV and digital ads vs. all homes. These results prove the accuracy of the targeting and effectiveness of exposing viewers to both TV and digital ads. 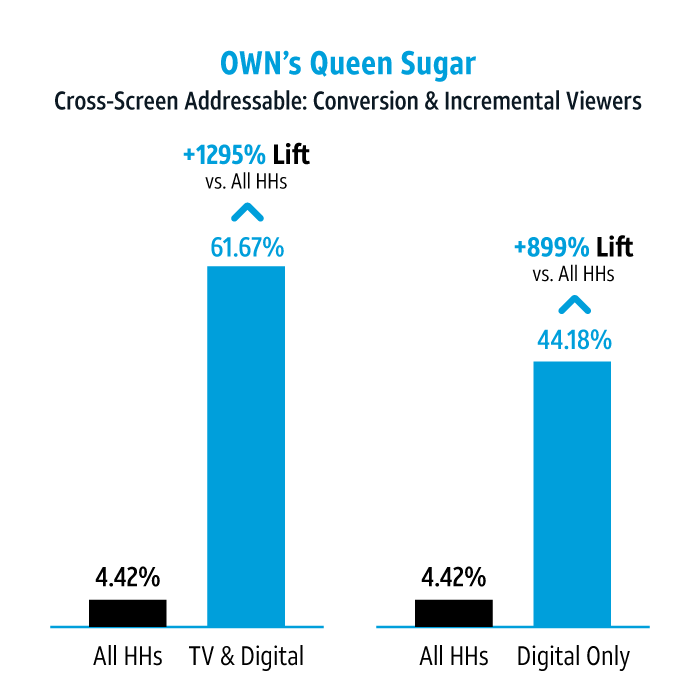 The ability to target households on digital drove an 899% conversion lift against all househoulds, converting 62,000 incremental viewers who would have likely not seen a TV ad, and subsequently, may not have tuned in to "Queen Sugar" at all. "The ability to close the loop on which household devices were exposed to our ad on either TV or digital and then watched 'Queen Sugar's' season two premiere has been remarkable. Since Linear TV is the anchor for 'Queen Sugar,' our goal was to bring digital eyeballs back to the TV screen. 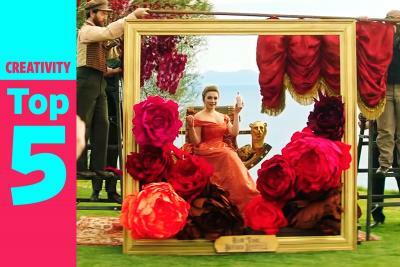 This campaign showed us that we can drive TV viewership by reaching our audience across screens. 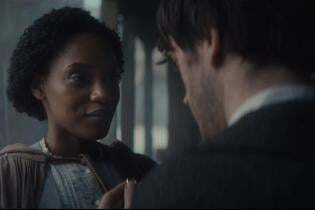 The insights we gained from the conversion metrics will inform future campaigns for 'Queen Sugar' and potentially other OWN properties" says Harriet Seitler, chief marketing officer, OWN. Campaign flight: Q2 2017. Case study results are based on individual campaign factors. AT&T makes no performance warranties. Source: comScore Rubik Live +7 Days. Unique Conversion = 1+ minute of viewing. Case study results are based on individual campaign factors, AT&T makes no performance warranties. There has never been more competition for networks and studios to produce great content and to deliver that content to those watching a lot of TV, or those consuming content across different devices. And great content survives with sustained and growing viewership. You want to reach viewers who are, without question, interested in programming similar to yours. Why leave it to chance? AT&T AdWorks is a nationwide leader in addressable TV advertising. We combine unparalleled scale in addressable TV advertising with the best targeting capability in the TV business to deliver a better ROI for advertisers. And we can extend addressable TV campaigns across screens. The AT&T AdWorks product suite includes: Addressable TV Advertising, Data-Driven Linear, Interactive TV and Premium Digital Video Advertising (including DIRECTV NOW and Otter Media properties).